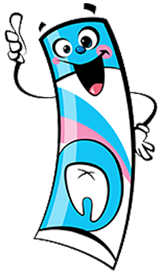 Come visit us at Dr. Zak’s Tooth Fairy Castle, a dentistry for kids! On your first visit we will collect the entire amount due. We will file your insurance for you. When your insurance company pays on your claim we will reimburse you. After you are an established patient, we will collect your co-pay at the time of your appointment and bill the balance to your insurance company. We accept most insurance plans. Please note that each insurance company pays according to your plan. Your insurance plan is a contract between you and your insurance company. Some insurance companies do have the same in-network coverage as out-of-network coverage. It is important for you to know how your plan is structured and the co-pay that is due at the time of service. As a courtesy we will file all insurance claims. We encourage you to call your insurance company and find out the parameters of your coverage through your employer’s human resource department.